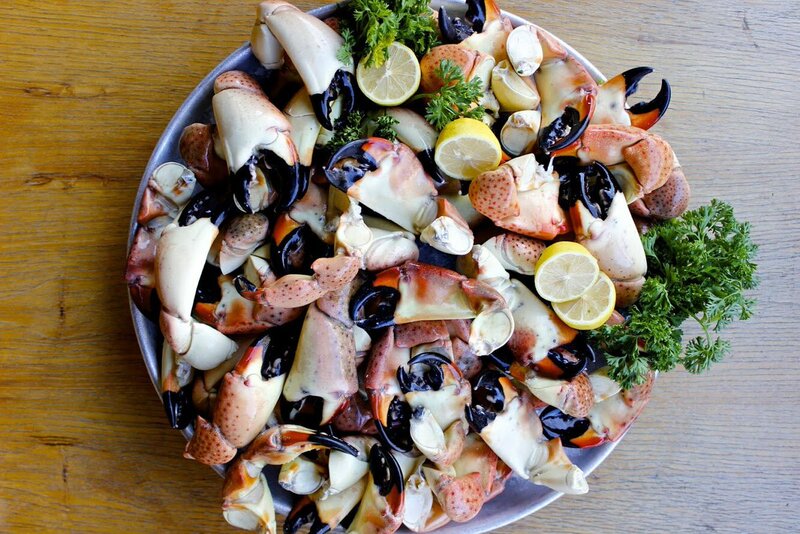 Home » When Is Stone Crab Season? Resources > What is Stone Crab Season? Stone crab season is from October 15 each year through May 15. The breeding season is mainly during the rest of the months. This time is sufficient for the female crab to develop all her eggs as well as ensure the longevity of the stone crab species in the Florida waters. The process of molting takes place, during which the crabs shed their exoskeleton as their bodies start to outgrow their shells. Once they are ready to molt, the stone crab separates its shell from its body and then slides out of it. Once the older shell has been shed, the crab then expands its new soft shell by continuously pumping sea water into its body. Within three days, the crab shell starts to harden which then becomes its tough exoskeleton. This is also the time when the male of the species begins to mate with the females. The latter then develop eggs in huge numbers- between 200,000 and 1 million and release them all into a spongy sac that gets deposited in the water. These eggs are also seen externally as they are developed in the abdomen- they are either brown or reddish in color. The female is distinctly different in appearance from the male and the abdominal area is far more rounded and larger than the male. The eggs take approximately two weeks to develop after which they are released into the sac. At that point, the eggs don’t resemble the stone crab in any way and are almost microscopic in size. As the larvae feed on the zooplankton in the water they start to grow in size; over time, their diet changes too. Once they have reached maturity and grown in size, they start to feed on clams, snails as well as other invertebrates. It isn’t easy to obtain the meat of the snails and clams. But the stone crab has a crusher claw that’s far larger than the other pincer. It holds its prey with the latter and uses its crusher claw to crack the snail and clam shells to get to the meat. The crusher claw has an enormous amount of strength. It exerts almost 19,000 pounds of pressure per sq. inch which is almost 4 times the bite force that crocodiles produce. A large portion of the meat in the crab’s body is located in this crusher claw which makes it quite the prize. At the point of harvesting, the claw needs to be at least 2 3/4th inches in length. If the claw is broken from the crab in the right manner, it can regenerate the lost appendage within a year’s time. It takes approximately 3 years for the new claw to grow to legal size before it can be harvested again. If both the claws are of the required minimum size/larger, then both can be broken off simultaneously. But professional trappers are aware that removing both claws significantly reduces the survival rate of these crustaceans. This is why they harvest just one of the claws. Once the claw has been removed, the stone crab will be released into the water. As mentioned earlier, the crab will eventually regenerate the claw. If a predator, fish or human takes hold of the crab’s claw, it knows exactly how to unhinge/release its claw in order to get away. Since the crab works to regrow this appendage, you will find stone crabs with different-sized claws. The average life expectancy of stone crabs is about 8 years, these claws easily grow back several times. Stone crabs are typically harvested with the use of baited traps and recreational as well as commercial fishers use them. Some recreational fishers are quite adventurous and will go snorkeling or scuba diving in the waters and catch stone crabs with their bare hands. Stone crabs generally hide or lurk near depressions and crevices in rocks and these are the best places to place the traps. - Catch only one gallon of stone crab claws/catch two gallons of stone crab claws per boat, whichever is less. - Once you have caught the crabs with legal-size claws for harvesting, you need to remove the crusher claw without killing the stone crab. - Grab the large claw with your fingers, and then hold the crab’s body firmly with your hands. - Press its claw down & away from the crab’s body. - Using consistent pressure, the crab will ultimately drop its claw. If the break is clean, it means you’ve done it right. If you are a recreational crabber and are looking for this creature, it’s a good idea to focus on areas such as the oyster reefs, rock jetties and grassy flats. The crabs typically hide in places where they can find a good meal or where they know they will be well-protected from predators such as octopuses, sea turtles and grouper. While stone crabs prefer an oyster meal, they will happily snack on carrion, seagrass as well as other crustaceans if given the chance to do so. Humans are arguably their biggest predators. 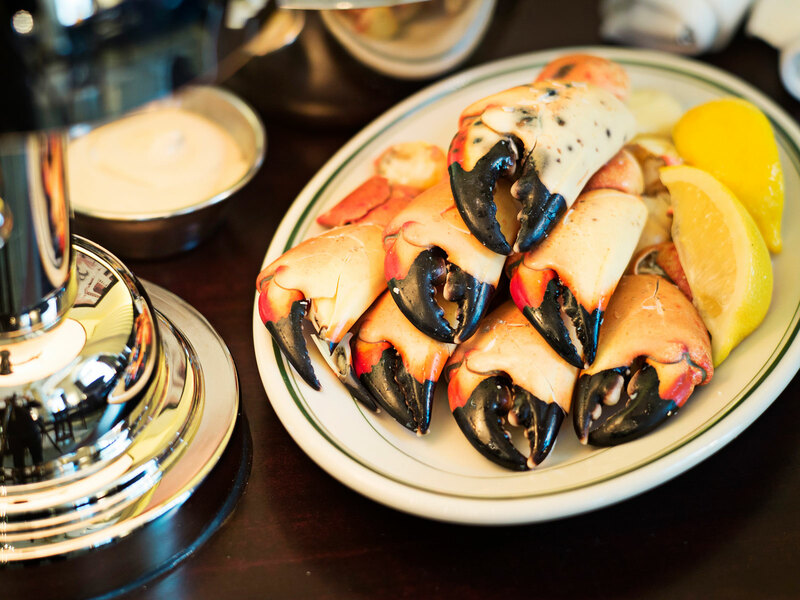 If you relish eating stone crabs and head to any one of the restaurants in Florida, you are sure to find this delectable seafood on the menu. But as you must have guessed, eating stone crabs at restaurants can be quite expensive. The better option is to buy this amazing delicacy from us at Fresh Stone Crab. You will find that our stone crabs are available at almost 50% less than what you’d pay elsewhere for the same products. All the stone crabs we sell are sustainable and we source these from 50 different boats in the Florida Keys. They are flash cooked & chilled at our hygienic and advanced facility the very same day they’re caught. We ship throughout the US and you can rest assured that they will reach you the next day. This year, it was feared that Florida’s crab fishery would take a hit due to the red tide algae bloom that has been plaguing the west coast for months. Fortunately, the Keys that accounts for 65% of the stone crab claw harvest, doesn’t seem to have been impacted much. As mentioned, stone crab season is from October 15 to May 15. Each shipment that we send out also has our renowned Stone Crab mustard sauce. Complete the meal with the delicious Key Lime Pie with all local deliveries of 10 pounds and above. All orders above 5 pounds are eligible for free delivery. The different stone crab sizes we offer include- Medium, Large, Jumbo and Colossal. We never ship any frozen stone crabs and when we’re out, we’re out. We also have specials right through the season. When you will settle for nothing but the best stone crabs, we are the company to visit. Feel free to browse our website for details of the sizes quantities and more. It’s stone crab season now! 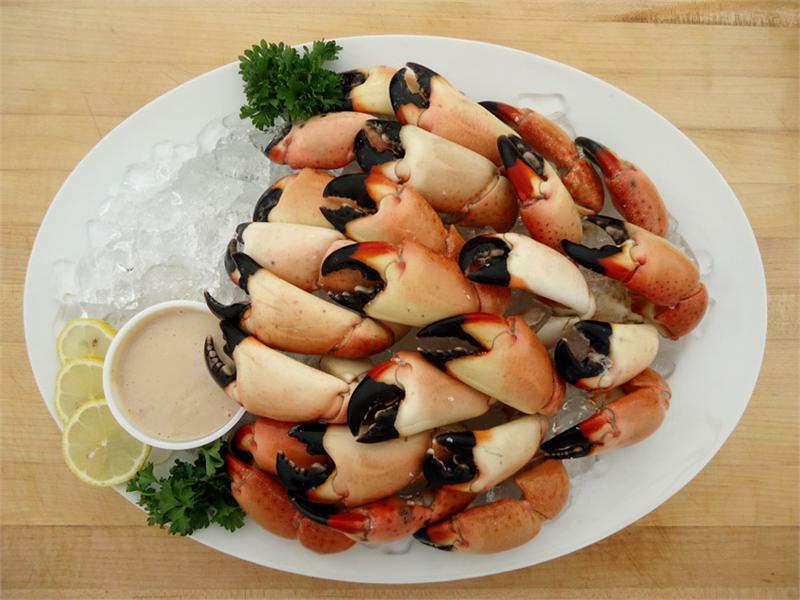 Why not celebrate the New Year with the fleshiest, juiciest and most delectable stone crabs from Fresh Stone Crabs?